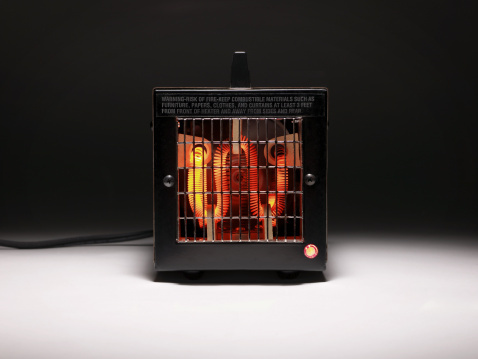 Electric space heaters come equipped with only a few parts: the heating coils, a heat reflector plate, a fan, thermostat and a shut-off sensor or switch. 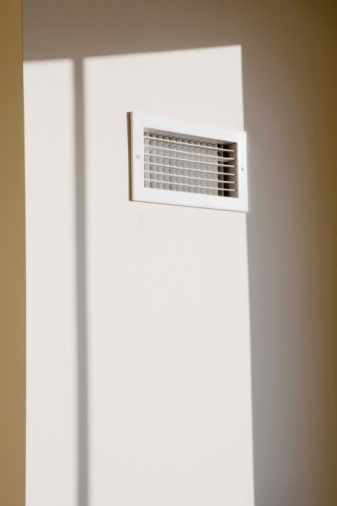 This sensor or switch is generally installed in the back corner of the heating appliance. When the space heater is tipped or is accidentally knocked over, the sensor shuts it off. If this sensor or switch begins to fail, the heater may not warm up or may shut off unexpectedly. If you bypass this switch, take caution in using the device thereafter. Turn the electric space heater off and unplug the power cord. Let the heater cool to room temperature before proceeding. Turn the heater onto its face or set it on a table once completely cool. Do not attempt to make any repairs while the heating coils are warm and/or the appliance is still plugged into an electrical outlet. Remove the back panel on the electric space heater using a screwdriver. Once the heater is open, you will see the fan and the back of the control panel. Away from the control panel will be a sensor with wires going to it -- that is the shut-off switch. Grasp the shut-off sensor with one hand and cut the wires going to the sensor with wire strippers. You will not be able to unplug the sensor as it is hard-wired. Strip the ends of the wires and twist them together. Twist a wire nut over the ends and replace the back panel. Put the heater on the floor upright and plug it in. Set it to a low to medium heat setting and turn the device on to use as normal, but never leave the heater unattended.